Mr. Freek-Jan Koekoek (MSc) started the company in 2000, after extensive experience in international trade, business consultancy and agricultural project management. His last job was at Fair Trade Original, the Dutch importer and distributor of fair-trade products and pioneer of the fair-trade movement. 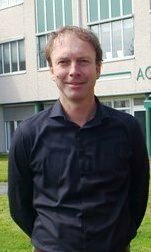 Freek-Jan graduated as an agricultural engineer from Wageningen University in 1990, specialising in Tropical Land and Water Management. During his professional career, he followed complementary courses in marketing and business management. Freek-Jan’s experience covers a wide range of agricultural products, food ingredients and finished products, including coffee, tea, cocoa, peanuts, fruit juices, alcoholic beverages, dried and canned fruit, rice, pulses and other grains. He has worked in a variety of projects, including EPOPA (Export Promotion of Organic Products from Africa) and Branding in the South, a project developing consumer brands with selected companies in developing countries. Since February 2007, Freek-Jan has worked as Sector Expert Food Ingredients for the Dutch trade promotion office CBI. In this capacity he has coached many companies from Asia and Latin-America in entering the European food market. Hugo teamed up with Mercadero in 2017, having briefly worked here in 2009. As Associate Consultant, he assists and advises exporters from Asia and links them to buyers in the EU market. His focus is on speciality fruits and vegetables, spices and herbs and ancient grains in organic, fair-trade and sustainable markets. Current work is on fresh and processed mango, turmeric, jackfruit, ginger, chillies, rice and minor millets. His strong networks in India and Europe, among exporters, buyers and experts, are an important asset for Mercadero. He likes to work on innovative and niche products and crops from their historical area of origin. In India, Hugo worked for 7 years as Associate Scientist for Bioversity International in New Delhi, India, one of the CGIAR global research centres in food and agriculture. Here, he gained his interest and expertise for on-farm conservation programs and value chains for minor crops and forest products. He worked on a research project for mango, citrus, mangosteen and rambutan including their wild relatives together with governmental research and private sector partners in India, Indonesia, Malaysia and Thailand. He also facilitated training workshops and coaching programs for companies and farmer organizations in Armenia and Uzbekistan, concerning grapes, apricot, apple, lentils, sea buckthorn, pomegranate, pistachio and almonds. For this work, his specific expertise in participatory methods and tools for value chain development are important. He has obtained experience in assisting companies and farmer organizations in business plan development, marketing strategies, exports and impact assessments. 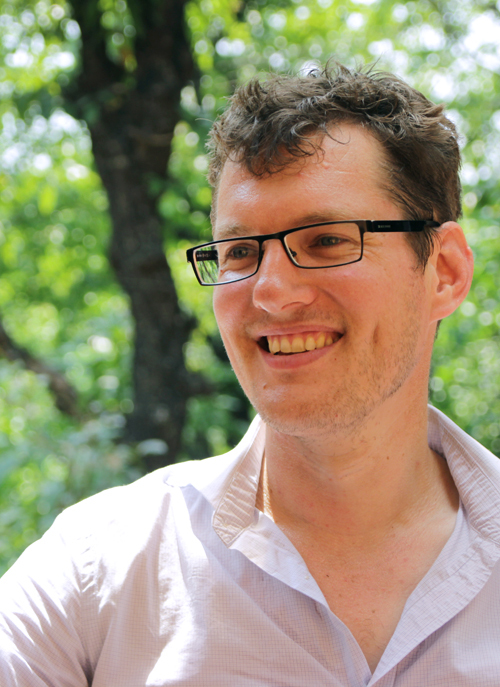 Hugo is a Development Economics graduate (MSc) from Wageningen University.